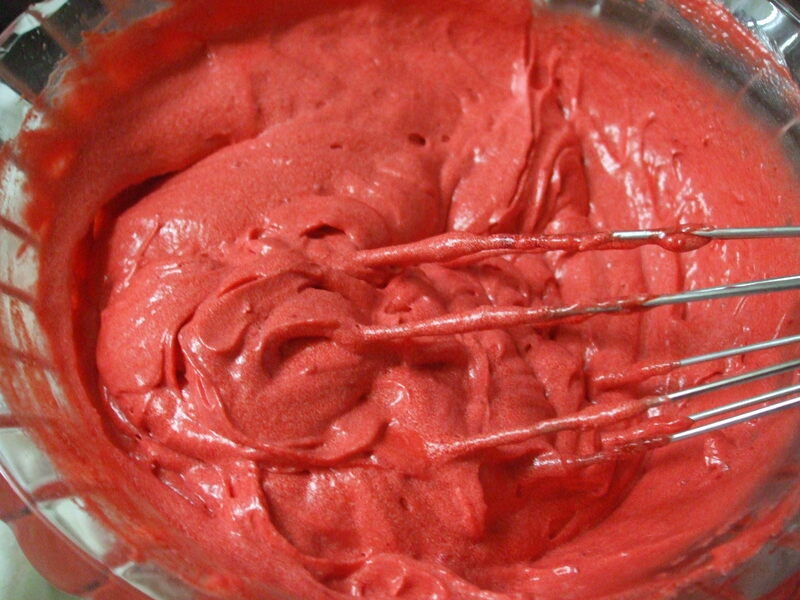 Red Velvet Cake is very popular on Christmas . 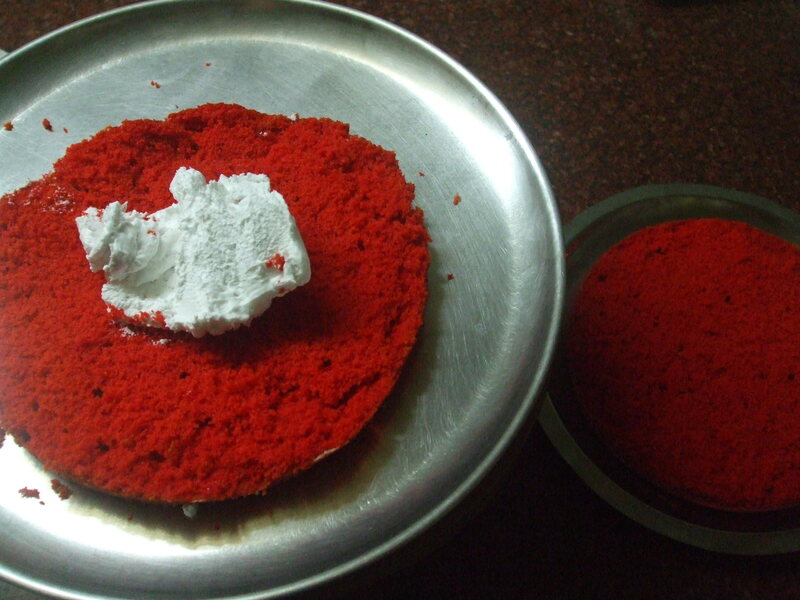 Initially people from UK used to make this cake from BEETROOT .. 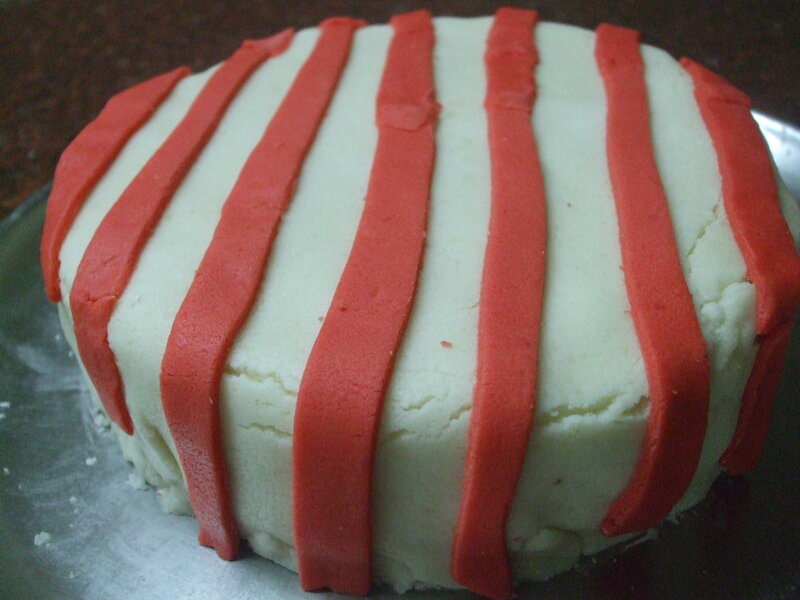 Here i used VEGETARIAN FONDANT to decorate this cake.. 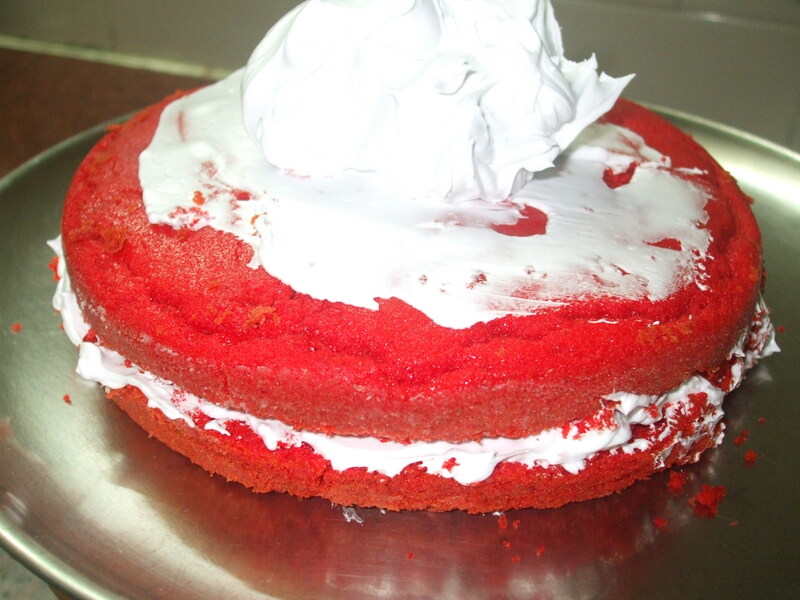 This is my first try to Velvet Cake and Fondant. 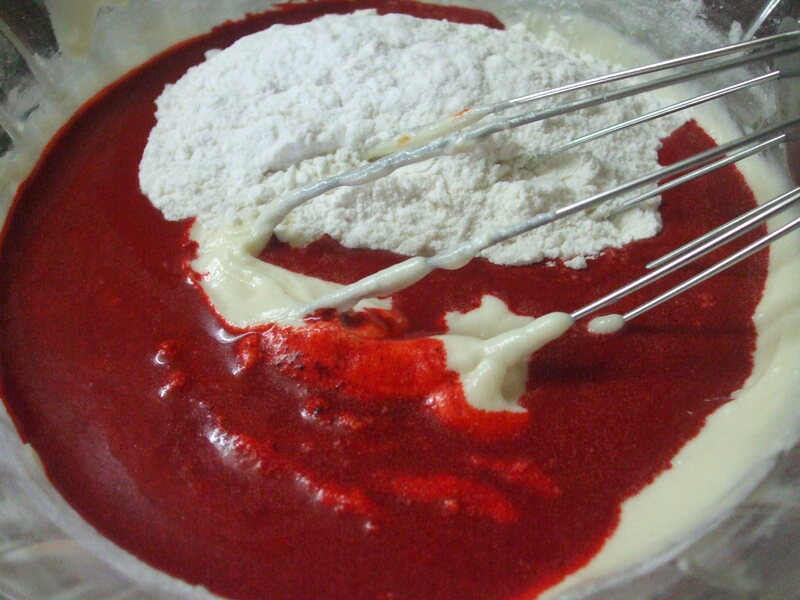 Red Velvet Cake generally frosted with Cheese Cream or Whipping Cream. 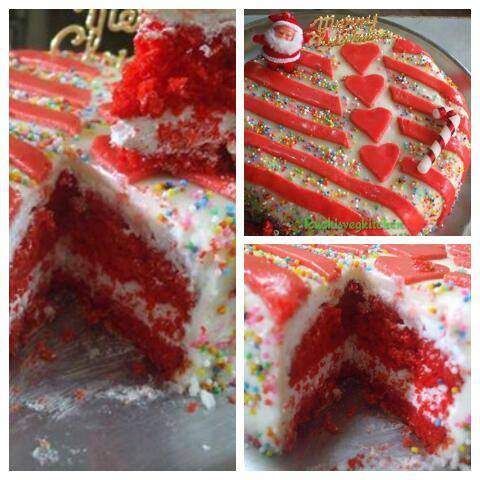 Here i tried with fondant and Result is super yummy super moist cake and perfect icing.. 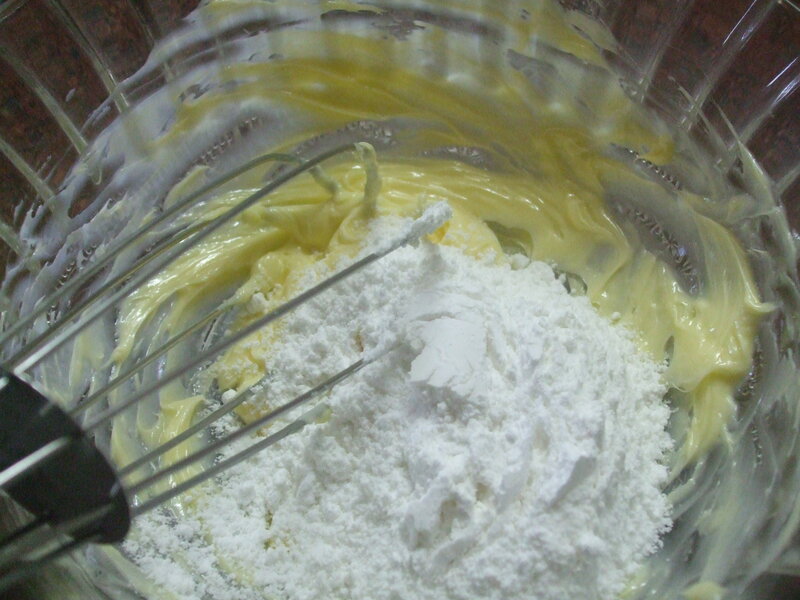 In a mixing bowl, add the butter and sugar and whip until smooth. 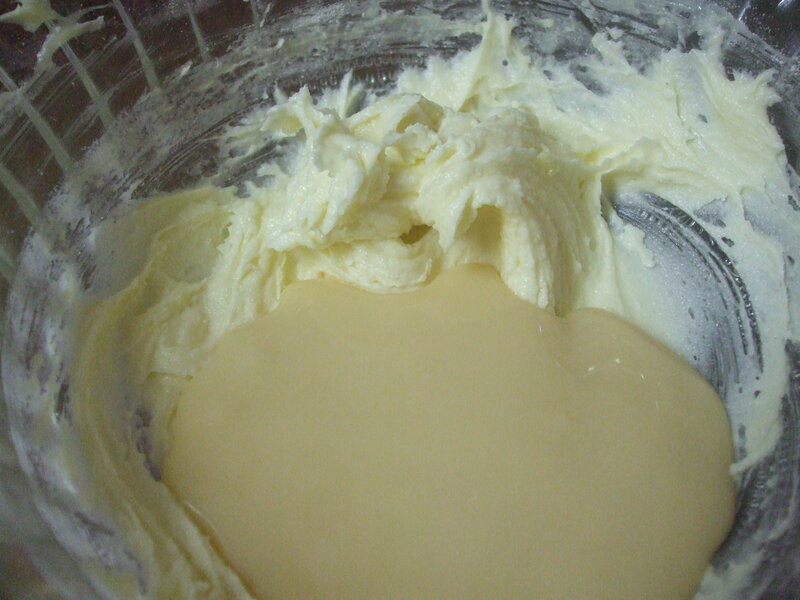 Add in the condensed milk and whip till fluffy and it starts leaving sides. 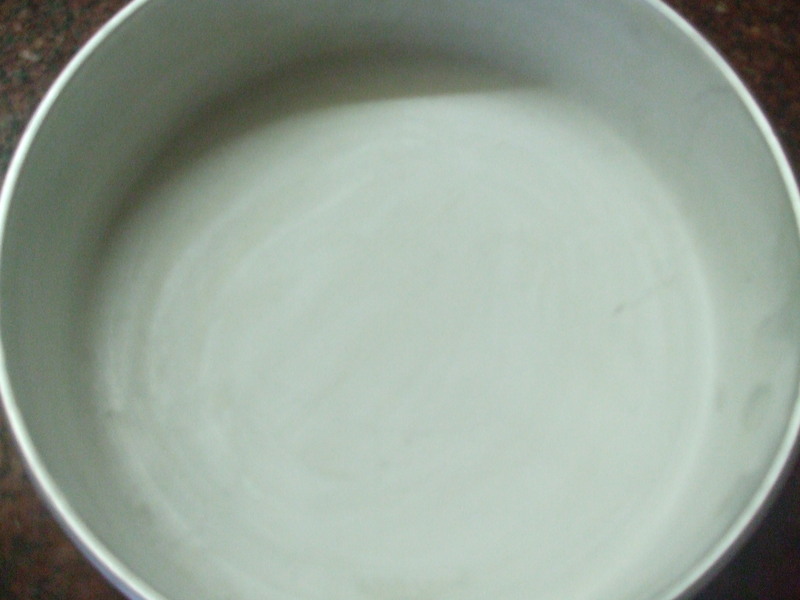 Pour the batter in a cake tin which is greased with butter and dusted with flour. 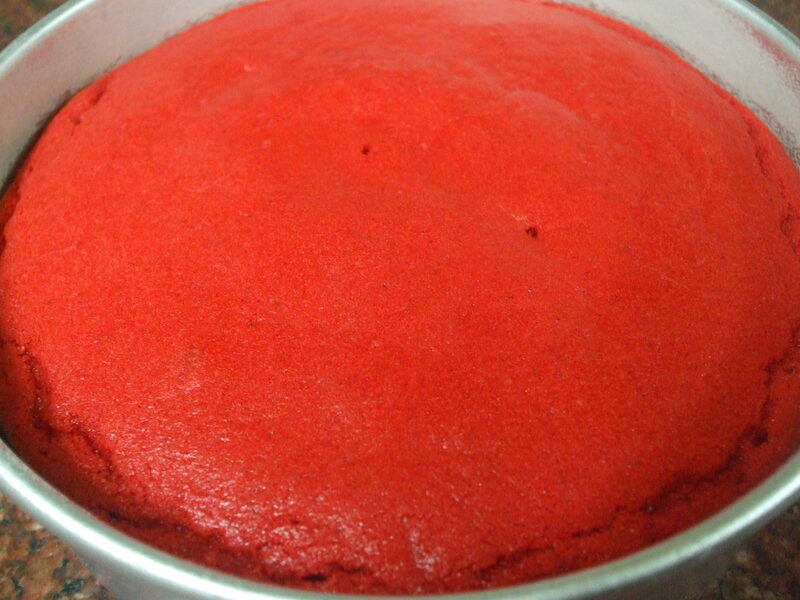 Tap once and place the cake tin in the oven and bake at 180 C for 35 mins. 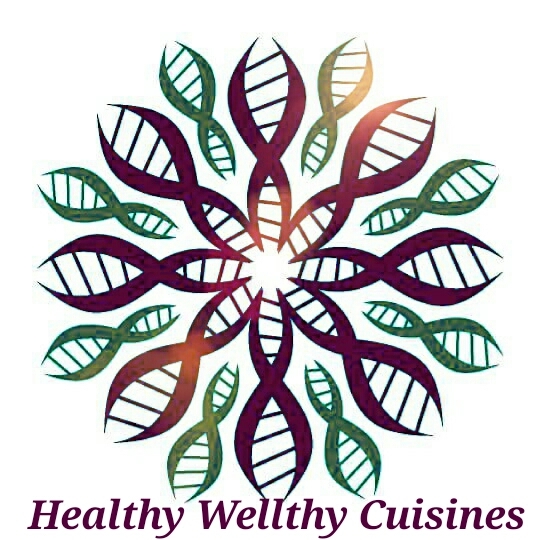 Test whether the cake is done after 35 mins with a toothpick. 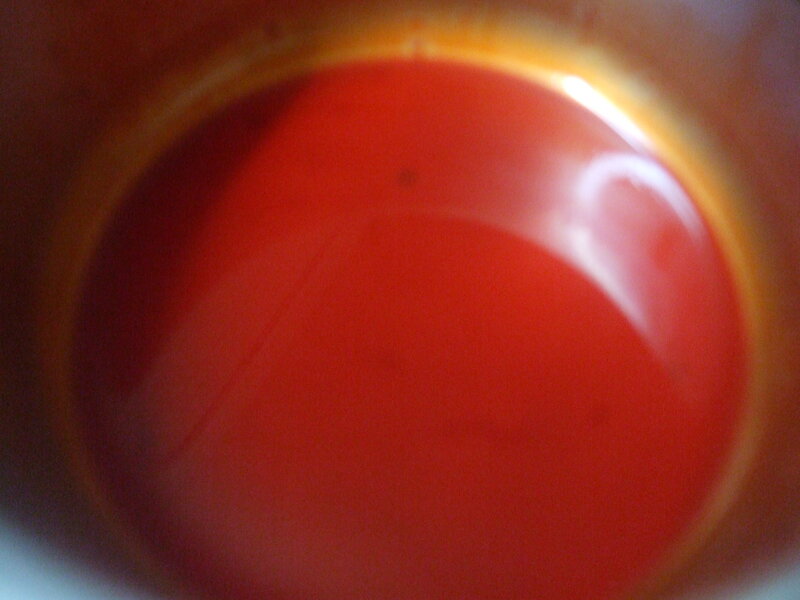 If it comes out clean, its ready if not bake for another 3-4 mins. 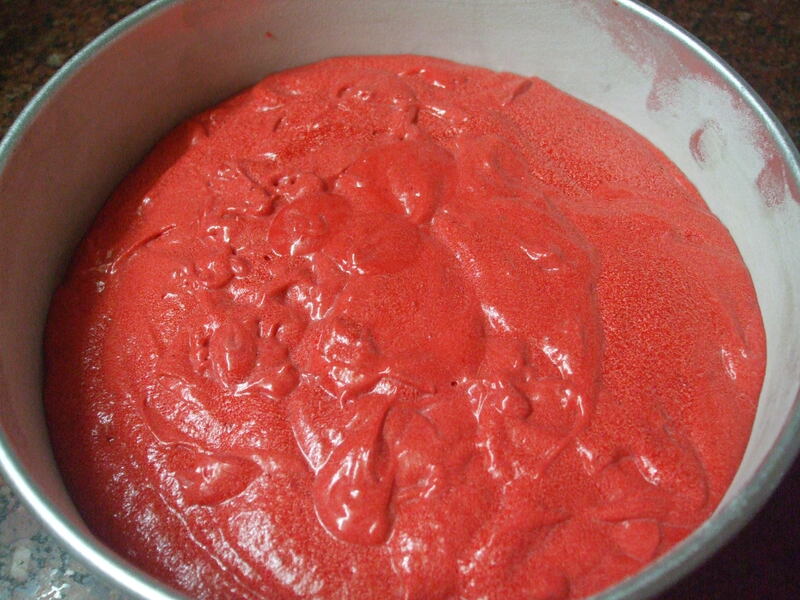 Once baked, take the cake out and let it come down to room temp, then freeze for 4 hours. 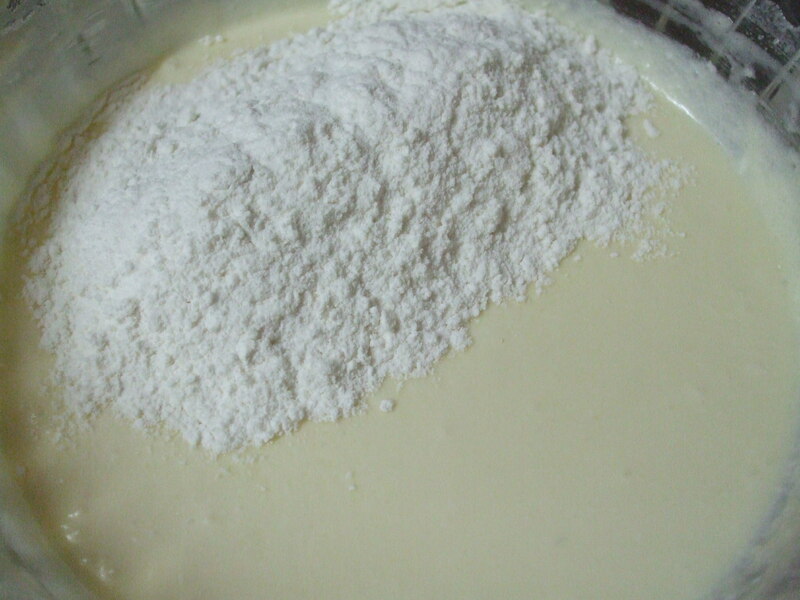 Whip whipping cream and sugar to stiff peaks, It may take around 15-17 mins..
Place a big plate over a turntable ( I used Chakla 🙂 ) place the cake and slice up the uneven top and then slice it horizontally into 2 layers and keep aside.In the turn table, apply a little bit of cream and place the first layer of cake then smear the sugar syrup. 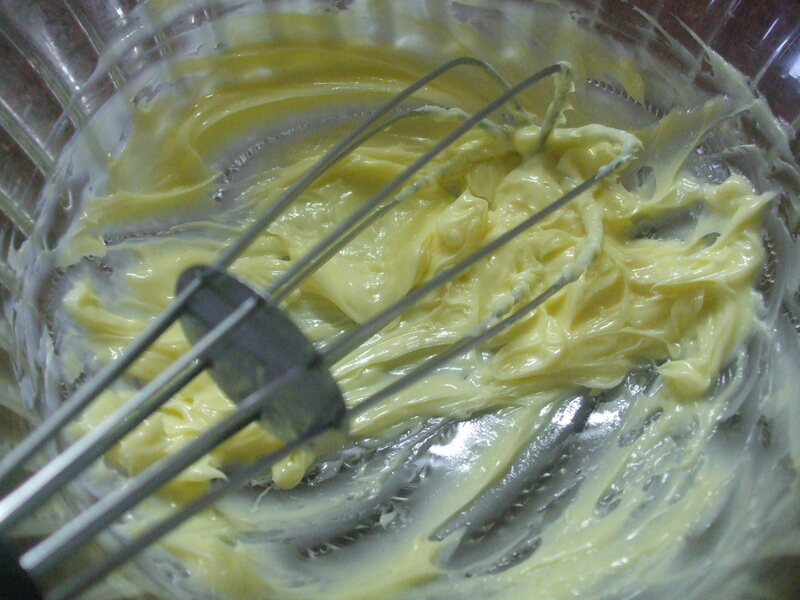 Add a big dollop of frosting and spread. 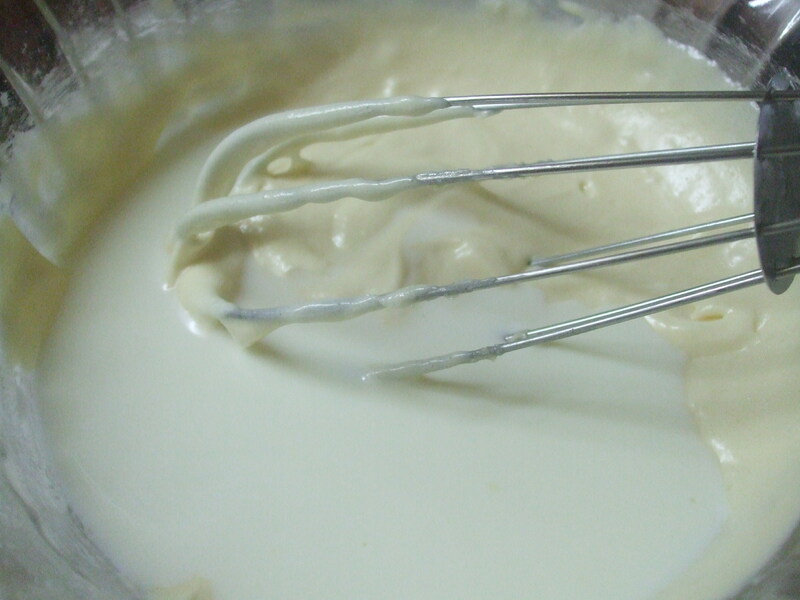 Place the second layer upside down and smear syrup then take a dollop of cream in a offset spatula / any long knife and cover the sides of the assembled cake roughly then the top. 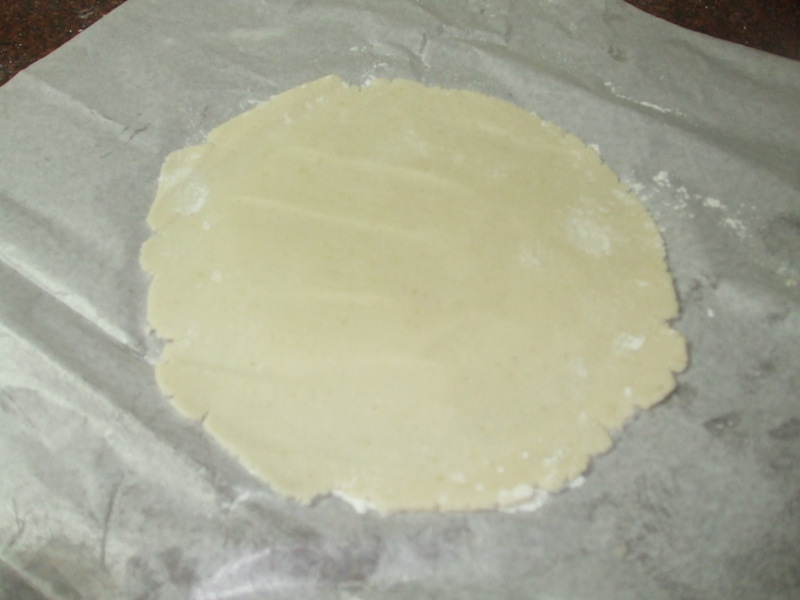 Make sure the layer is thin, as its a crumb coat. 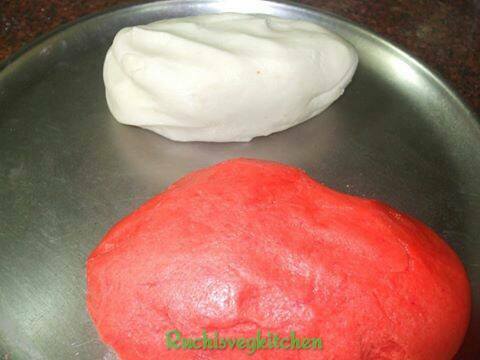 Freeze the cake for 30 minutes, Then again make a thin layer of cream..
Checkout how to make Fondant recipe here..
With white dough first roll a big roti on a plastic sheet or butter paper. 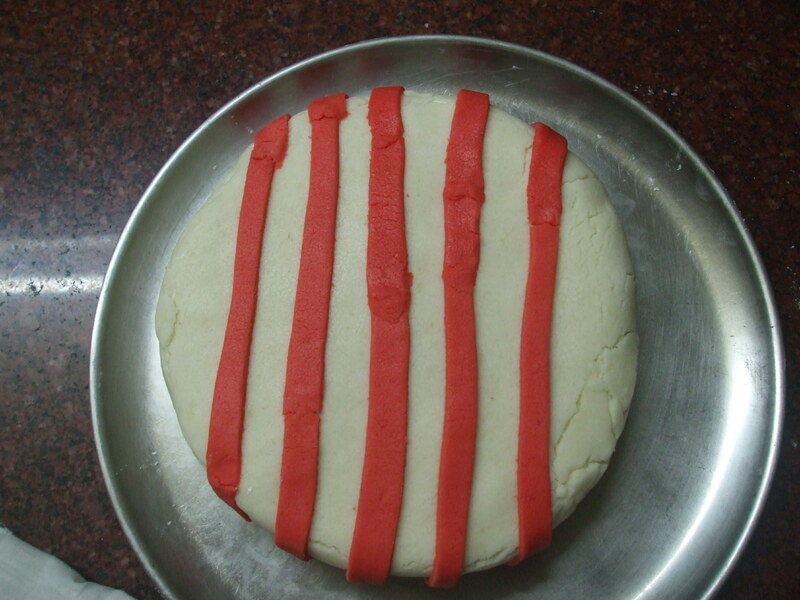 Very carefully flip it and wrap the whole cake… definitely u will find some cracks. But its ok u can make touch up to that. 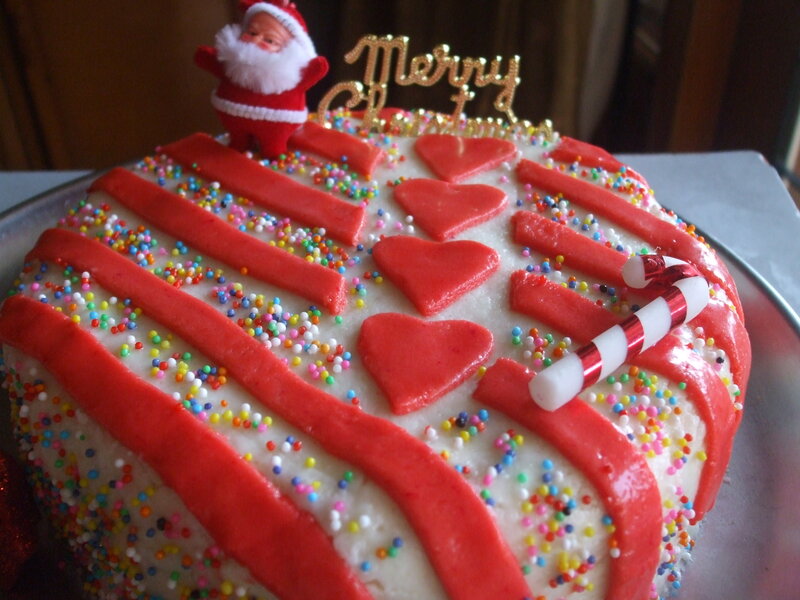 One can decorate and give shape as per liking.. Decoration is totally depends on your creativity.. 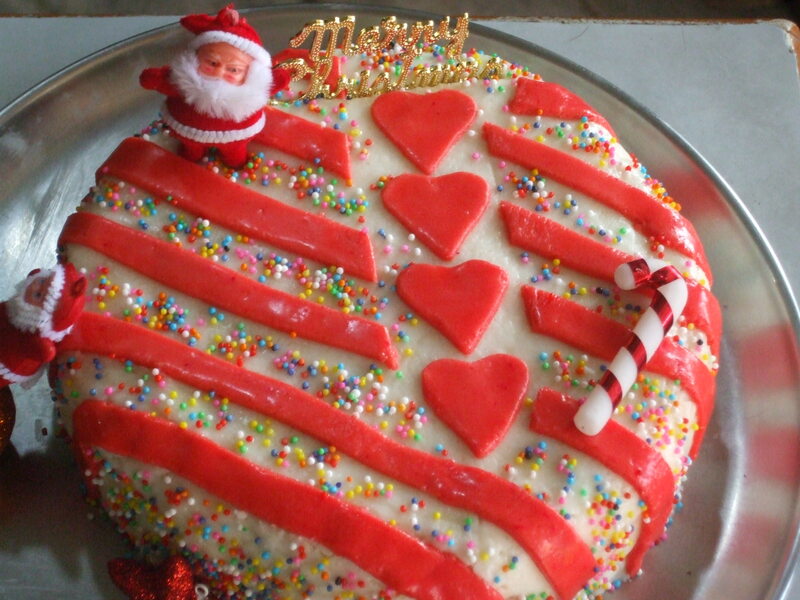 Awesome cake . Well explained. 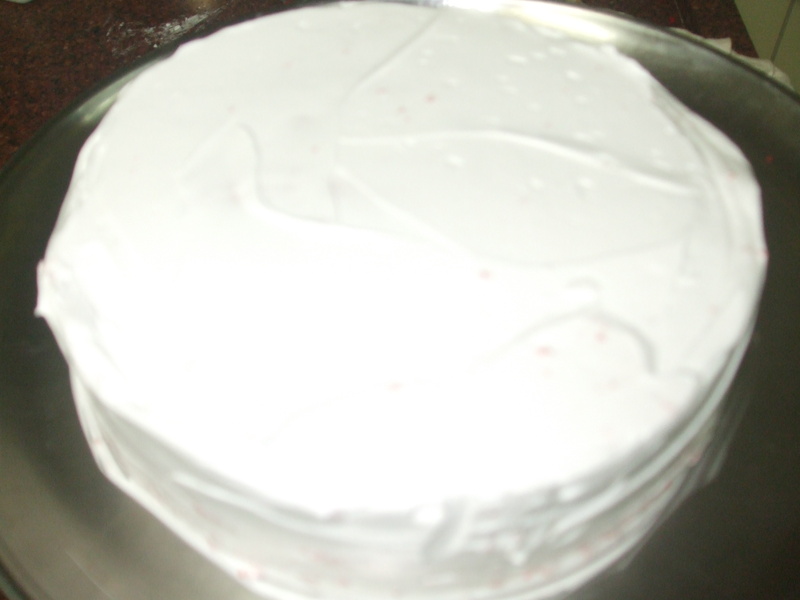 It’s fabulous looking cake.where will u get glycerin.do v need to roll the fondant very thin? I aM planning to make the cake but without fondant because in Ahmedabad I am not able to get agar agar.today my daughter is celebrating her birthday.i wanted to surprise her as well as myself with fondant n all.its ok.can u give receipe of chocolate mud cake.TIA. 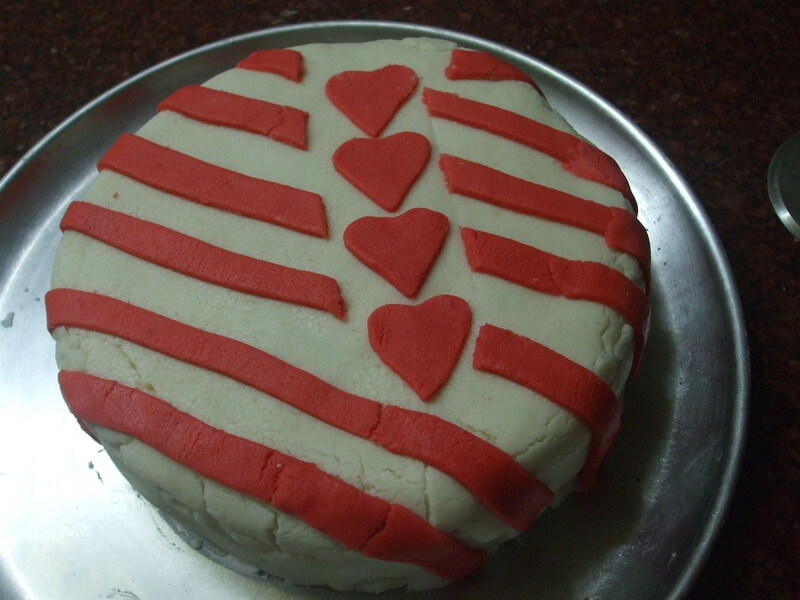 Hai,instead of white cream topping can I make a chocolate ganache on this cake.waiting eagerly for ur reply. 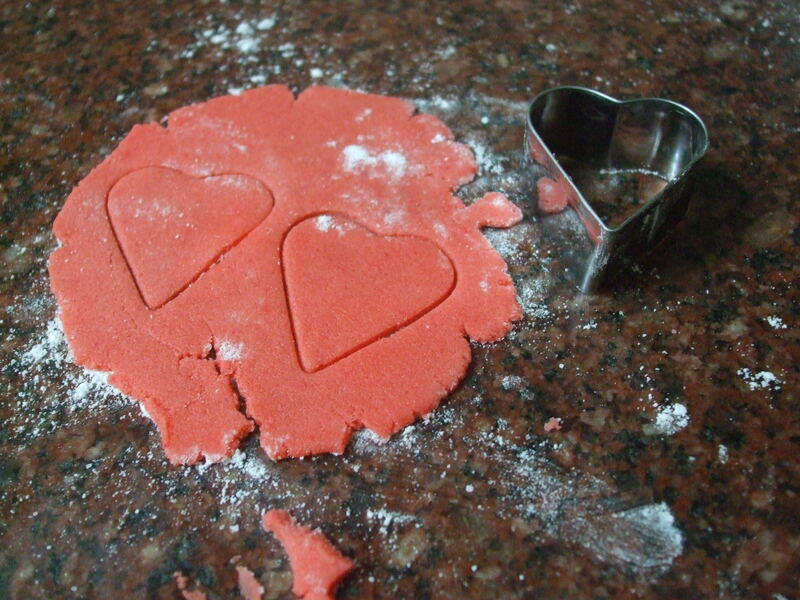 Hey Of course You can use any frosting method.. i used fondant as i wanted to introduce that.